Healing River Chiropractic provides chiropractic adjustments in a holistic wellness center with a focus to release and restore the body’s health, not suppress or control symptoms. Many are overwhelmed with pain and are desperate for healthcare previously un-remedied by prescription drugs and surgery. 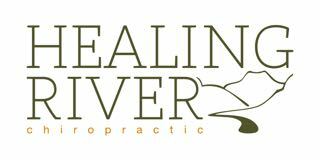 Healing River Chiropractic utilizes extremely gentle and powerfully effective holistic techniques to restore and allow your body’s own symphony of health to play naturally and beautifully again. Our progressive model of health and unconventionally powerful healing techniques are not found in the Stillwater Valley and rarely elsewhere in the world. We are located on the north end of Main St., river side of the road in the modern Desch Building. Find us right behind PD Pappy's Grill!